We will assess your septic system and its usage to determine a sensible residential septic tank pumping schedule for your Bonney Lake home. Our service programs can make sure your tank is pumped before it becomes clogged or starts overflowing. Do not wait until the last minute. Schedule your residential septic tank pumping today. We can provide you with septic system care and maintenance tips to reduce the frequency of residential septic tank pumping and keep your system running efficiently. Commercial septic tank cleaning is necessary for uninterrupted facility operation. 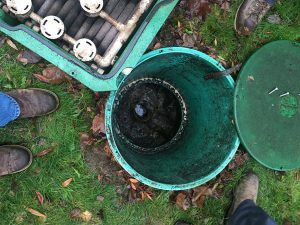 Whether you are a commercial kitchen that requires routine cleaning for excess sludge and grease, or a municipal organization that needs routine commercial septic tank cleaning in Bonney Lake, we are the company to call. Our flexible appointments mean that your commercial septic tank cleaning can be scheduled at a time that minimizes disruption to your daily operations. The consequences of commercial septic tank failure can not only costly, but they can also pose health and environmental risks. Call us for fast, reliable commercial septic tank cleaning in Bonney Lake or the nearby areas. If you find yourself facing problems with your septic system, we encourage you to call our residential and commercial septic tank cleaning and pumping experts right away. We would love to take care of all your commercial or residential septic tank pumping and repair needs in Bonney Lake. We have years of experience in the septic service industry. 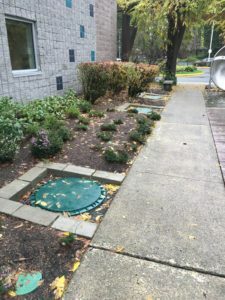 For more information on our commercial and residential septic tank pumping services in Bonney Lake, feel free to call VAC-TEC LLC at (206) 339-0039. We cannot wait to serve your needs!